It remains only a single product in catalog of analog capture solutions at Pinnacle. Not surprising given that analog camcorders and VCRs have almost completely disappeared from the audio-visual world. 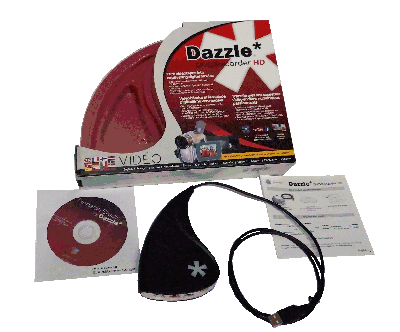 But if you still have some VHS or Hi8 and you want to digitalize, Dazzle DVD Recorder HD is for you. An USB capture device, a quick install guide, the DVD of Pinnacle Studio for Dazzle, an ultra-constrained version of Pinnacle Studio 16. This is the real novelty of this type of package. Until now supplied with the USB device were Pinnacle Studio versions 14 or 15 depending on what you bought.